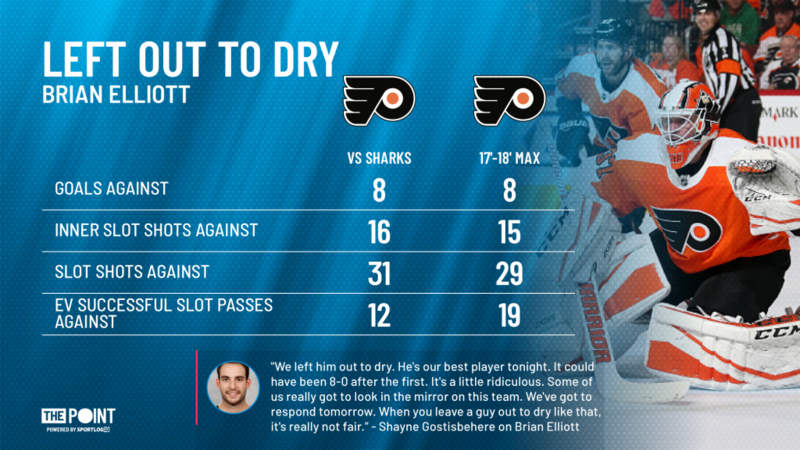 The Flyers embarrassing loss last night is on everyone but Brian Elliott - The Point Data-driven hockey storytelling that gets right to the point. Brian Elliott got torched last night for 8 goals against in a game where he actually played very well. He was sprawling all over the place making some miraculous saves while the rest of his team forgot how to play defense. In their post-game interviews, the players and coaches recognized the poor defensive effigy with head coach Dave Hakstol saying, “I think Brian got hung out to dry.” The Flyers posted defensive numbers that were across the board terrible. They gave up close to or more than their highest markers made in a single game last year in a lot of defensive categories. To go along with their 48 shots against, they gave up 16 shots from the inner slot and 31 from the slot. Philly’s inability to protect the house was the story in this game and frankly, it wouldn’t have mattered who was in net for them with a defensive effort like that. 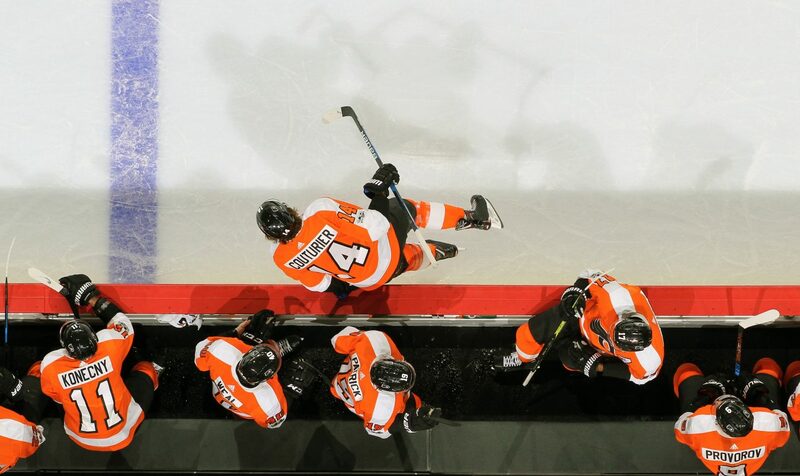 The Flyers are back in action tonight against the Ottawa Senators so they better figure it out quick or else it’s going to be a rough back to back.